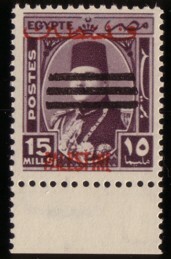 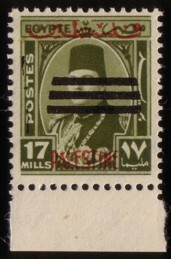 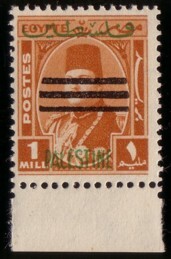 After the abdication of King Faruk in July 1952 the stamps in circulation are overprinted. 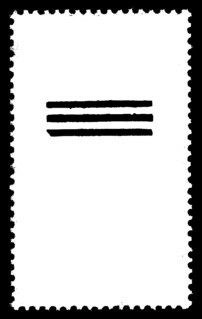 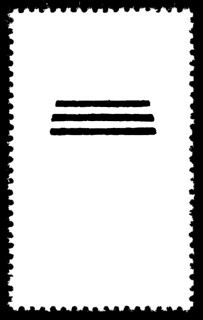 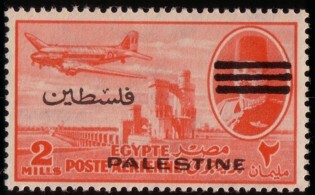 This applied to Egyptian stamps as well as those in use in the Gaza Strip, namely the definitive series 1948 and the airmail series 1948. 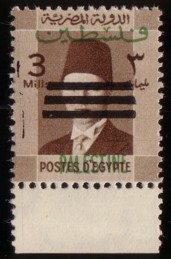 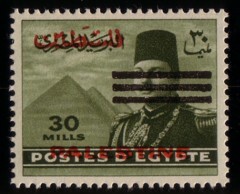 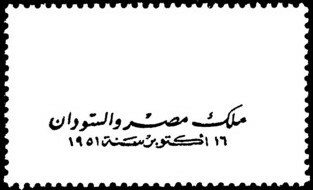 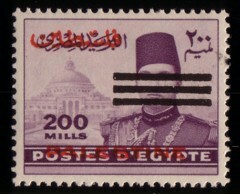 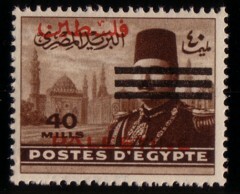 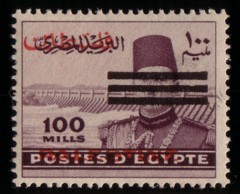 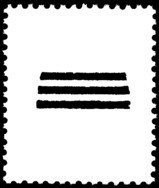 In Egypt itself the newly overprinted stamps were issued on (and after) 20.04.1953. 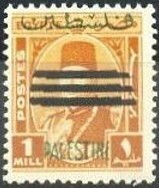 A definite date for Palestine is not known to me. 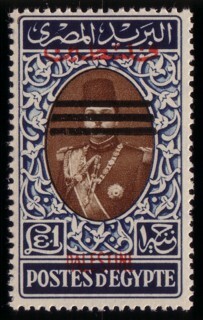 Several designs were used to produce the overprints: 3, 4, 5, 5a, 6 (Stanley Gibbons: collective design type 134) and 7 (SG type 124). 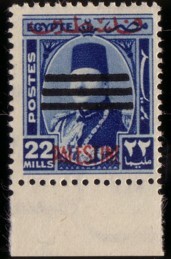 Definitives 1948: values 1--22m with overprint in type 3. 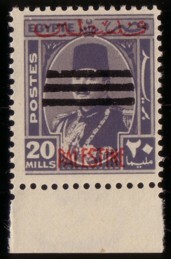 Definitives 1948: values 30--200m with overprint in type 4. 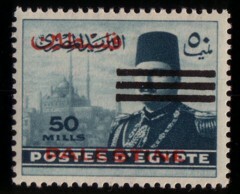 Definitives 1948: value 500m with overprint in type 5. 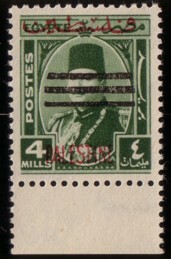 Definitives 1948: value £E 1 with overprint in type 5a. 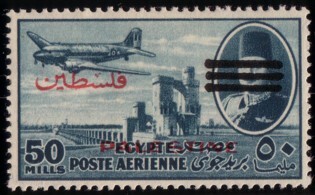 Airmail stamps 1948: values 2--200m with overprint in type 6. 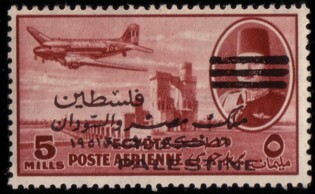 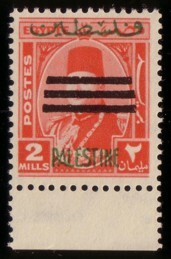 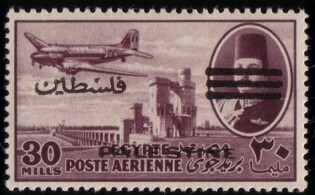 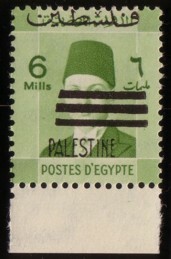 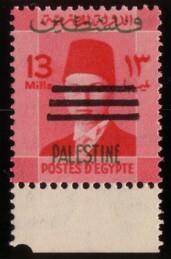 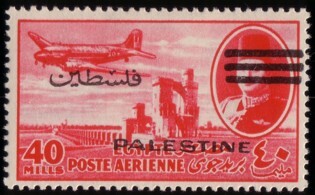 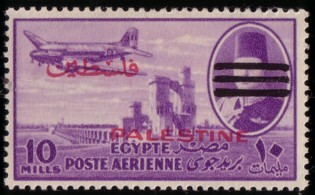 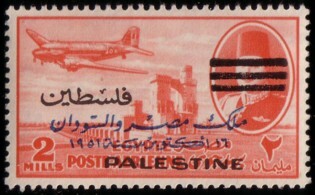 Airmail stamps 1952 (not issued for Palestine at the time): values 2, 3, 5, 8, 10, 20, 50, 100m with overprint in type 2. 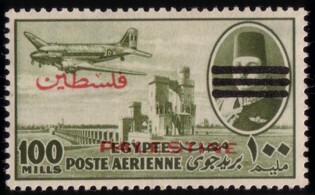 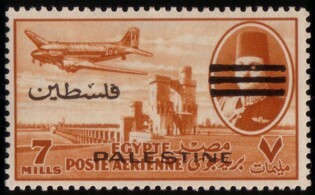 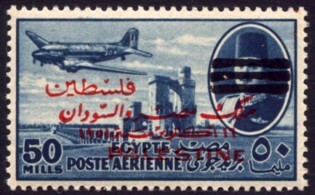 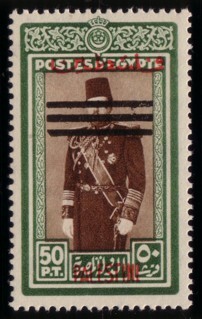 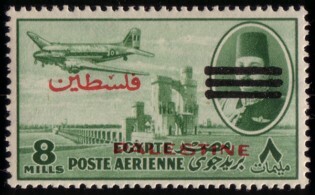 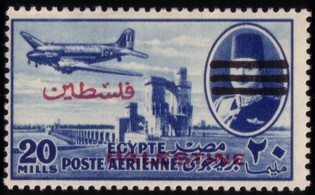 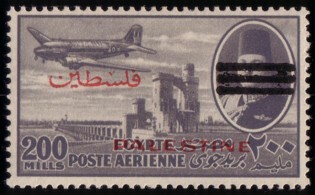 This is actually the Egyptian airmail issue of 1947 in design type 101 (King Faruk in medallion with barrage and airplane) with overprint "King of Egypt and Sudan / 16 October Year 1951" (type 7, SG type 124) in blue, red, black and green with additional overprint in type 6. 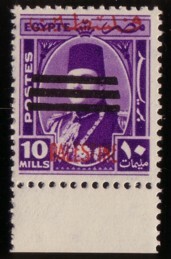 Produced in recess printing with watermark W48, perforation 13.5. 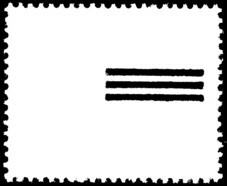 Images (SG nos. 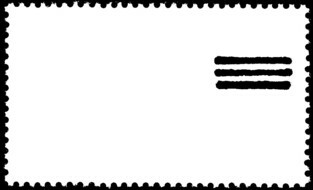 53, 63, 64, 66--68): Thomas Schubert.